In the not-so-distant future, cancer could be diagnosed as simply as determining your drink-drive status. Researchers funded by Cancer Research are about to start trialing a breathalyzer-like cancer test they hope will be able to diagnose the disease from simple chemical changes to your breath. In the UK, where the trial is taking place, around half of cancers reach a late stage before diagnosis, partly because many early symptoms (like heartburn and indigestion) can be mistaken for something far more common and much less harmful. This makes finding a cheap and easy method for detecting cancer early on – when the body is most likely to respond to treatment – crucial. This particular method involves chemicals called volatile organic compounds (VOCs), which can be produced by the body's cells' metabolism. Various health conditions, including cancer, can change the cell's metabolism, resulting in a different pattern of VOCs. This, the researchers believe, can be used as a smoking gun to alert doctors to the presence of cancer. 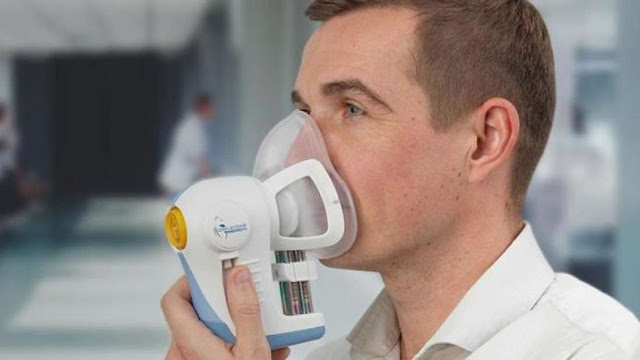 The team, led by Rebecca Fitzgerald from the MRC Cancer Unit at the University of Cambridge, plan to amass and study the breath of some 1,500 people at Addenbrooke's Hospital in Cambridge, UK, by 2021. Some of these 1,500 will have been referred to the hospital by their local doctor because they have reported symptoms that could be read as early signs of cancer. Others will be healthy controls. The idea is to compare the breath of those who are later diagnosed with cancer to those that are not to see if there are special signatures that offer any tell-tale clues. "This is a pilot study, so first we’re looking at a range of cancers to see if we get a signal and compare the signal to healthy individuals," Fitzgerald explained. "Intuitively, lung cancer seems the most obvious cancer to be detected in the breath," she continued. "But because of the way metabolites are recycled in the body, many other volatile molecules from other areas of the body end up in the breath too." The hope is that the trial will result in a fixed breath signature that can be used to determine whether or not there is cancer in the body. But in the very best case scenario, there will be multiple signatures that can actually reveal exactly what type of cancer it is. It's still very early stages but if the results of this trial are positive, it isn't just people at known risk of cancer who may benefit from the breath test. Fitzgerald foresees it as a screening tool that can be used to detect cancer in the earliest stages – before a patient notices symptoms even. "Eventually, I imagine it used as a screening tool where you test well people, or a triage test that can sit in the surgery to help GPs know who to refer," she added.